For those wondering if ZOMBIE is the film where the zombie fights the shark underwater, as seen in the Windows 7 commercial a few years back, the answer is yes! 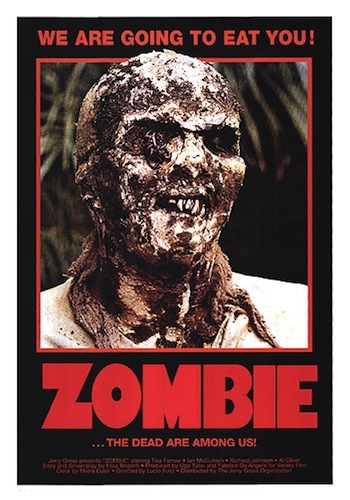 Don’t miss the fully restored version of Lucio Fulci’s Italian horror classic ZOMBIE, screening at the New Beverly Cinema both Friday 10/21 and Saturday 10/22 at Midnight as part of a nationwide re-release being done by Blue Underground in advance of their Blu-Ray edition. Celebrate the return of ZOMBIE to the big screen at the New Bev, just in time for the Halloween season!! !